The last thing you want when moving house is to come up against unexpected problems. As with anything, forewarned is forearmed so let’s look at some potential problems that might come up and what you can do to lessen the risk of them happening. You finally get round to booking your movers and discover no-one is available on the day you need them. Moving companies get very busy in the summer months and often reach full capacity weeks in advance. This is potentially catastrophic if you’ve left it to the last minute, but it’s actually a relatively easy one to avoid – simply book your removal team as soon as you know your moving date. If it looks like moving day could be a wet one, don’t pack away raincoats or any umbrellas you might have. You’re moving company should be able to supply you with disposable plastic furniture covers however typically this is not a standard service so do speak to your mover about additional charges for the supply of these materials. You’re entrusting them with all your worldly possessions so it’s important that your movers are trustworthy and efficient. Do your research and speak to friends who have moved recently about their experiences. A bit of time spent researching could save a lot of trouble down the line. You can minimize the risk of selecting a cowboy mover by only selecting a company registered with the BAR (British Association of Removers). Some of the more reputable movers will also security vet their moving operatives through checks with the CRB (Criminal Records Bureau). You need something urgently, but don’t know where it is. Easy solution – label everything. Label each box saying which room it is for and have corresponding labels on each room when you get there, so your movers know where to put the boxes. It’s even better if you can give include a brief list of contents on each box label so you can prioritise which boxes need unpacked first (and, more importantly, which box contains the corkscrew for that much-needed glass of wine). If this sounds like too much trouble, your mover should be able to pack and inventory all your goods for you. You get to your new home and your beloved sofa won’t fit through the door. If you have any large pieces of furniture, measure up in advance and make sure they will fit into your new home. While it might be a blow to have to give up certain pieces, it’s much better to know about it a month before rather than at 3pm on moving-in day! 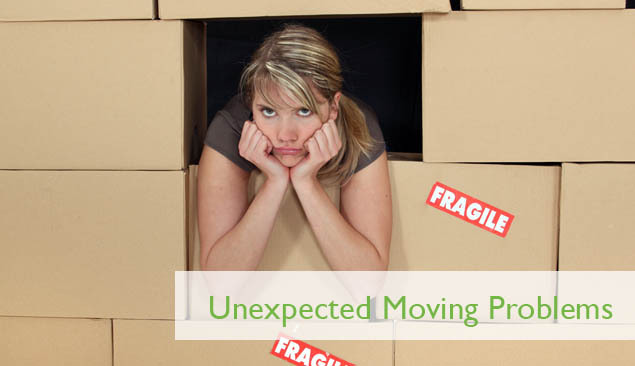 Worst case scenario your moving company should be able to supply you with an interim storage solution whilst you decide whether to sell the item or donate to a friend but don’t just assume they will be able to take your items away with them when they leave. Often moving companies have more than one job in a day and might need to be going onto their next job with an empty van. Expect to pay around £16.50 to £20 (+VAT) per week for short term storage with your mover.